Carolinas Cornerstone is dedicated to our community, our country, and our world. We have many opportunites to reach out to other people outside of our church. Please click a link below to find out more. Setting up at Twin Lakes for a fun filled mission week! We will work together during the day, gather in the evening for supper, fellowship, singing and games. Three (3) meals will be provided each day. Sign- ups begin TBA in the church foyer. You may pay by check or credit card. Payment has to be made byTBA. The total cost is TBA, this includes lodging, meals, supplemental insurance, a donation for building supplies and a t’shirt. Funds are available if you need assistance, please see Pam in the church office. Led By: Mike Cookman. 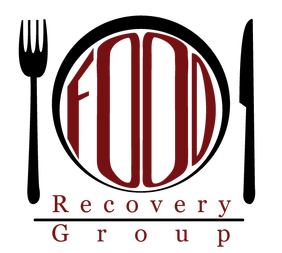 Mike founded and is president of the Food Recovery Group. He and his family moved to Fort Mill from Southern California in 2008. In December of 2012 they found Carolinas Cornerstone Church and have loved it ever since. His wife of 25 years, Debbie, is the leader of the ladies prayer group Conversations With God. What: We are a small group of committed volunteers, who serve our local communities by picking up donated food from grocery stores and retail shops and deliver to neighborhood groups who feed and serve those in need.Some of our clients include Pilgrim’s Inn, Bethlehem Baptist Church, So. Mecklenburg Presbyterian, Dove's Nest, Safe Alliance, Children's Attention Home, The Food Pantry, The Men's Shelter, Flint Hill Baptist Church Outreach. When: Monthly for two hours. Mike founded and is president of the Food Recovery Group. He and his family moved to Fort Mill from Southern California in 2008. In December of 2012 they found Carolinas Cornerstone Church and have loved it ever since. His wife of 25 years, Debbie, is the leader of the ladies prayer group Conversations With God. Interested in Volunteering? Fill out the form below, and Mike will be in touch with you soon! Serving Charlotte, NC, Fort Mill, Indian Land and Rock Hill, SC for over 5 years. Our website is www.foodrecoverygroup.com. THIS GROUP IS NO LONGER MEETING. IF YOU WOULD LIKE TO GET MORE INFORMATION ON WHEN MEETINGS WILL RESUME PLEASE CONTACT ELAINE MUFFETT. Who: If you are a caring, helpful person we need you! What: We are a ministry that helps members of our church who are not in a Life Group when they have a need. Needs can vary from needing a meal for a family after a death, after a newborn baby, or even after surgery. Contact Kelly at keblog@carolinascornerstone.org to find out more or get involved. This ministry exists because we are to defend the weak and fatherless (Psalm 82:3). Our mission is to serve orphaned and vulnerable children at the local, national and international levels; sharing the love of Jesus Christ by meeting children's physical and spiritual needs with the desire that every child know their heavenly father and receive the hope and security that only HE can provide. The bible clearly expresses the Lord's heart for orphans and our responsibility to protect them. Defend Them cares for these vulnerable children predominantly through prayer, education, advocacy and missions. When: Watch our Events page for announcements about fundraisers, meetings, etc. We are working with a village in Uganda that has many orphaned children. The faces that you saw in the pictures above are being helped by an organization called Juna Amagara, which mean "Saving Life". The ONLY way they can go to school, or even get aid thru Juna, is with YOUR help! By just giving $35 a month, you can change the life of a child FOREVER! Signing up to sponsor a child is easy. Click on the following link and visit http://www.amagara.org then go under sponsorship where you will be able to see all the children available for sponsorships. CCC's main focus is on the Kayanja care point thus we highly enjoy you to sponsor a child from that village. Their sponsorship code is "BK". You will be able to fill out all the forms online to include your payment information. We even encourage that you save a picture of your sponsor child to your phone or computer! Once you have completed all paperwork, there is one last step, please email the full name, BK number and date of sponsorship to both Mary Haynes atmhdefend@carolinasconerstone.org and Meghan Yates at mydefend@carolinascornerstone.org this way we can keep record of all sponsorships in our church! Once a month $35 will be charged to your credit card, or taken from your bank account (which ever you choose) and the child YOU chose to sponsor will get new clothes and shoes, will be able to go to school, and will get all the benefits of being a sponsored child. Why wait? Choose the life you can change TODAY! Want more? 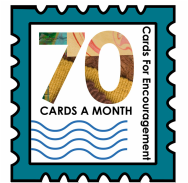 You can mail your sponsored child small gifts! A shirt, a little dress, books, stickers, write them letters, pictures of YOU their sponsor, PRAY for them! Let them know you care! The info on how to do all of this is online at http://www.amagara.org! GO visit their website NOW! 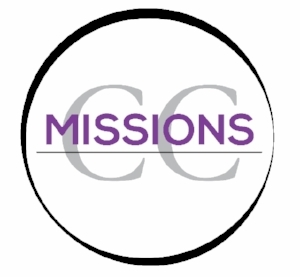 This coming February CCC is sending a group of missionaries to the Kayanja village. They will again be able to meet all sponsored children, and bring back letters and photos of your sponsored child. Also they will TAKE letters, cards and gifts to your sponsored child from you! Just drop off your items at the church prior to February 1,2017. Please place the item in a plastic bag no larger than a 2 gallon baggie. Write the sponsor child's name AND their BK number! * Please include a picture of yourself and/or of your family in your package! Remember to "sheka" which mean to smile! Thank you for your generous heart! In God's Name we can change the WORLD one child at a time!! There are 153 million orphans world-wide. Roughly 399,546 children within the U.S. are in foster care and 101,719 are waiting to be adopted. HIV/AIDs is the number one cause of death of both parents and every 15 seconds a child is orphaned due to the disease. Orphans are more likely to become victims of violence, exploitation, human trafficking and discrimination or other abuses. Over 1.2 million children are trafficked each year. Nearly 1 billion people do not have access to clean drinking water and over 600,000 deaths occur each week due to unsafe water which fuels the orphan epidemic. Click on their name to visit their website and learn more about each organization! "I needed clothes and you clothed me. I was sick and you looked after me. I was in prison and you came and visited me." "The King will reply, I tell you the truth whatever you did for the least of these brothers of mine you did for me!" Where: York County Prison is a minimum security prison that allows inmates, who have not been convicted of a violent crime, to work outside the facility in the county during the day. Hundreds of men and women go through this facility during the year. Most inmates are incarcerated for only months which presents a short period of opportunity to share God’s Word, show God’s love and assure inmates that there are people who care about them and are praying for them. In addition, we supply the facility with three cases of Bibles each month. Volunteers from Carolinas Cornerstone, in conjunction with other churches, provide services 6 days a week as well as 2 services on Sundays. These volunteers usually provide food/desserts with each service in order to draw the inmates into the service to hear God’s Word. These men and women often have no one to talk to, no one to care about them, no one lead them to a better road. Just by providing a home baked goodie during one of our events, they are given joy, and that joy opens them up just enough that we can teach them that they are not just wandering souls with no purpose. It gives us the opening to tell them that our Creator created them too, and they have value! You can reach a lost soul and change a life. Won’t you join us? If we don’t go, we miss a ministry opportunity! * 4th Monday night prison service at 6:30 p.m. Led by George Franklin with support from the Men’s Ministry. George has been ministering 30 years in prison ministry and is a Chaplin at this unit. Annual 4th of July Celebration- We furnish BBQ, hot-dogs, homemade desserts, drinks and uplifting music, giving them the best of everything, as Jesus does for us every day! (see calendar for exact date and details) Drop off your baked items at the church, on Saturday morning of event 9-noon. Please have them pre-cut (we can’t take any knives into the facility) and in disposable containers. Thanks! Drop off your baked items on Saturday morning of event 9-noon. Please have them pre-cut (we can’t take any knives into the facility) and in disposable containers. Thanks! Items should be placed in a Christmas gift bag with a bit of tissue paper. God says we are to help and meet peoples’ needs in showing them love and they are more willing to let us minister to them. —Become a prayer warrior! —Contribute to the needs of the inmates by donating specific items for those who cannot afford them, since the facility does not provide them. Men: bar soap, deodorant, toothpaste and postage stamps; Women: bar soap, deodorant, shampoo, conditioner, toothpaste, postage stamps. —Be a driver! Sometimes we need transportation help to get a newly released inmate to a place where they can get a start on a new life. --Purchase items for the Christmas gift bags. —Bake home made items for the 2 celebration events we do each year. Please contact George Franklin if you have any questions about this worth while ministry. Please purchase items on the list in the amounts listed, and nothing extra. Most of these items can be purchased at the Dollar Tree and come in the required amounts. All items need to be placed into a Christmas gift bag, and returned to the church by Nov. 30.
Who: This group is open to any lady 18 years or older. If you'd like to go the events at the prison this does require training. Contact Mary to see when and how you can join. What: We have a simple Bible study and devotional with the women who are incarcerated. We share a light snack and fellowship with them, letting them know that no matter what, God loves them always. We give them hope and encouragement in an environment where often there is none. We also have an annual 4th of July celebration and a Christmas outreach.